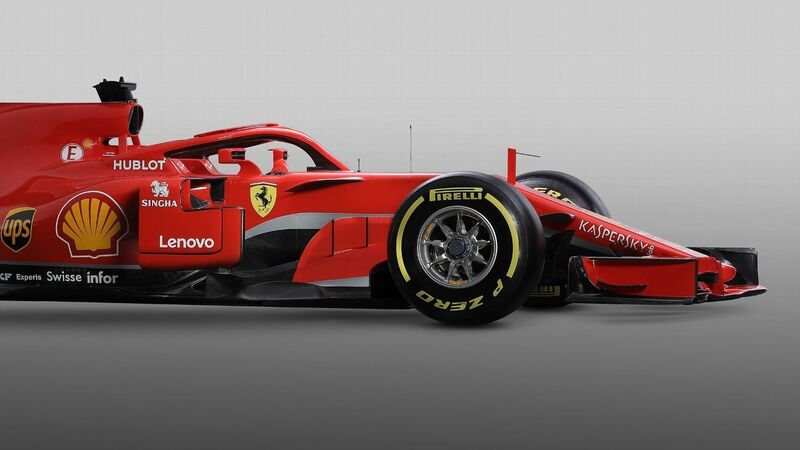 MARANELLO, Italy — Ferrari has designed its 2018 Formula One car with the aim of wiping out Mercedes’ advantage at high-speed circuits while consolidating its own strengths. During the launch Binotto drew attention to the car’s longer wheelbase, an evolution of its bodywork around the sidepods and slimmer rear-end packaging. Also notable is a much larger airbox opening believed to be a result of repackaging of the cooling system along the centre of the car. Binotto believes the combination of all these aspects will help improve the Ferrari’s aerodynamic efficiency. “When it comes to performance, these are all contributions that aim to improve the aerodynamics of the car. They try to improve the drag level in general while improving the overall efficiency of the car. “Increasing the wheelbase improves the aerodynamics elements and allows them to be freer when it comes to all the elements that are in the middle of the car. Working on the back of the car, which requires a lot of effort, means an improvement in the airflow on the rear of the car. “As regards to aerodynamics, we tried to retain our concept of the inlets for the radiators, and everybody is copying that, but we tried to make an additional step forward. What we showed today is not the same element as last year — it is something more developed.